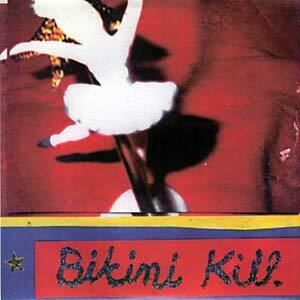 "A reissue of Bikini Kill's New Radio 7" EP. The single features the most well known version of their song 'Rebel Girl' as well as the title track and 'Demirep.' The songs were recorded in April 1993 at Avast Studios in Seattle, WA. The session was engineered by John Goodmanson and produced by Joan Jett. Jett also played second guitar and contributed backup vocals. Kathleen sang lead, Bill played guitar, Tobi played drums, and Kathi played bass. Joan Jett appears courtesy of Blackheart Records."